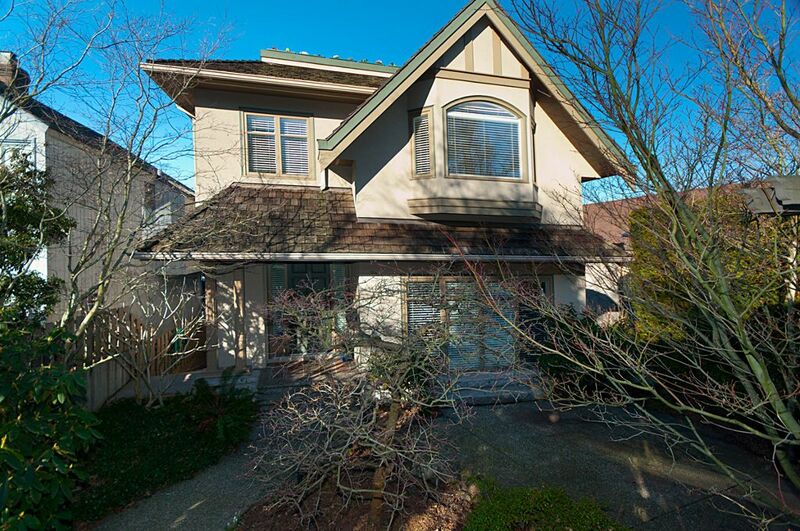 QUALITY BUILT custom designed home for present owners.Stunning city, water & mountain views in prime Point Grey location!Kitchen w/maple cabinets, Ultraline gas stove & granite counters.French doors & generous view deck.3 bdrms upstairsw/custom built dressers, desks & beds in children's BR's. Master w/ensuite bath, large soaker tub & walk-in closet. Deck on bdrm level & 2 roofdecks w/spectacular unobstructed views. Media rm/fam rm & office & bathroom on lower level w/VIEW & French doors to garden patio. Custom built-in's throughout & cozy gas stove. Concrete garage & plenty of storage. Immaculate & very well maintained. Quiet street within easy walking distance to shops, beach, Lord Byng, Jules Quesnel & West Pt. Grey Academy.